This mother’s day tablescape idea will show all those special Mom’s you know how much you appreciate them. Here you can find table decorations by me and some delicious recipes from other friends. I hope this post inspires you to go the extra mile for that extra special person. 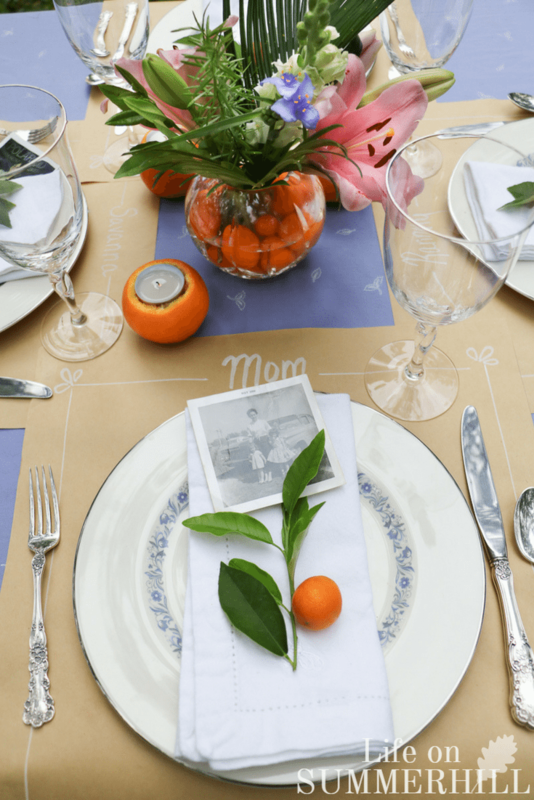 In my life, I have had many mothers, which is why I couldn’t wait to share a mother’s day tablescape idea with you. 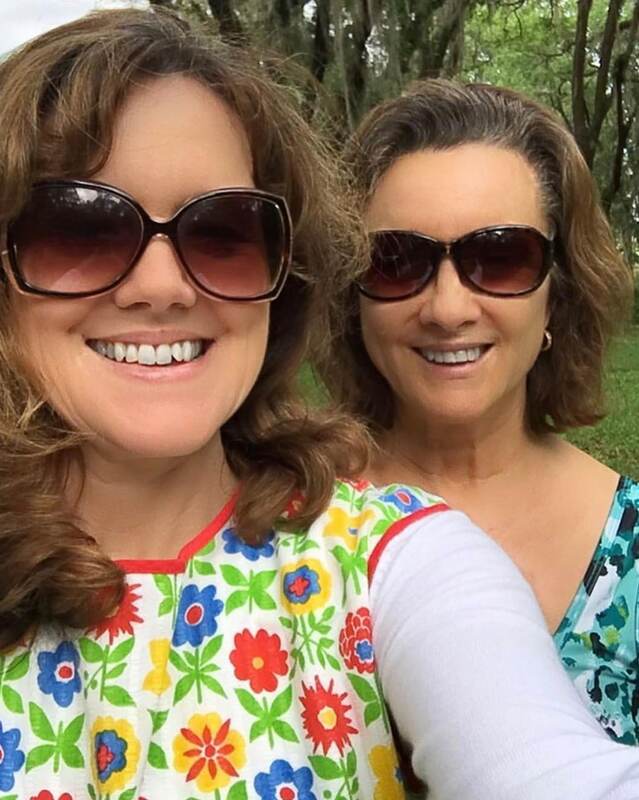 Because I am the youngest of three sisters, my older siblings, who were teenagers when I was born, seem to have thought they were my moms, too. So, in addition to my Grandmothers and Sisters, I had a total of five mother figures. Today, only one of those mother figures is left. Lucky for me, she helped me come up with a Mother’s day tablescape idea for all of you! 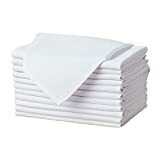 And in addition to the tablescape we came up with some Mother’s Day gift ideas too so you will be completely prepared. 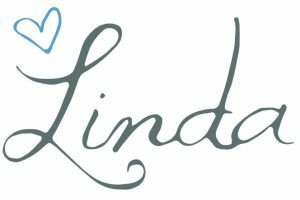 This post contains affiliate links, which means I receive a commission if you purchase at no cost to you using the links below. All opinions are all my own. 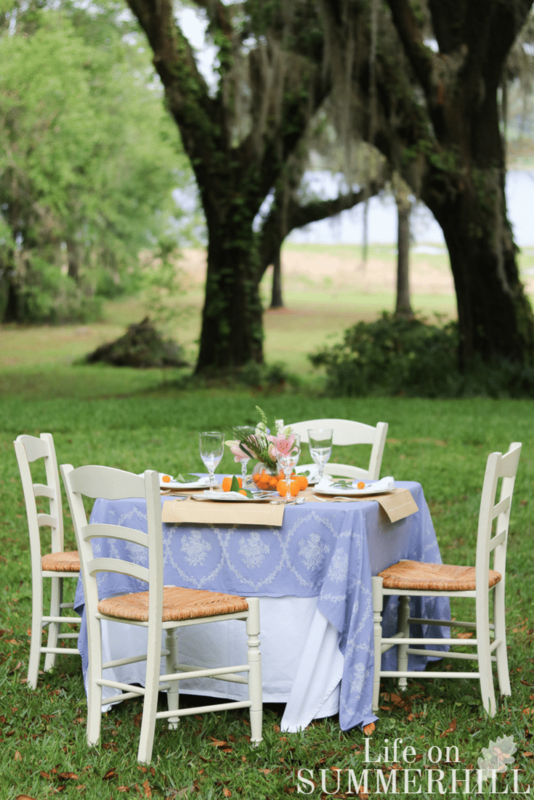 This time of year in Florida is a great time to do an outdoor brunch. The weather is usually pleasant during this time of year, which makes for the perfect picnic environment. So, check your local forecast and consider taking this party outside. For this event, I began creating with some history in mind. Every mother figure in my life has been raised in Florida, except for one who was raised in Georgia but later raised her children in Florida. So, I first thought about creating a table design around a Florida theme. When I think of Florida, I think of the ocean, palm trees, and citrus. I decided I wanted the table to be colorful and happy. Oranges and blue fit the bill. and placed them in opposite directions so that the table was covered to the ground on each side. 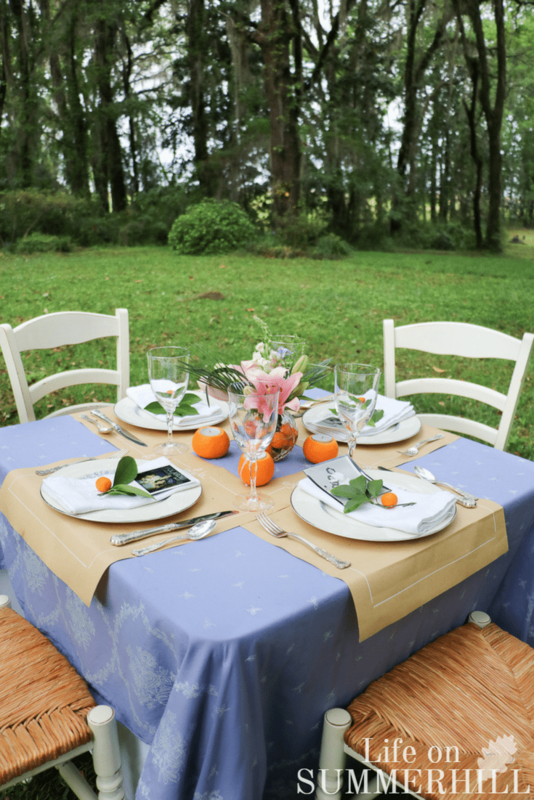 The blue tablecloth I purchase years ago but here is another idea I think will look good. If you’ve gone to all this trouble to create a beautiful table, then why not bring out some of your good chairs? 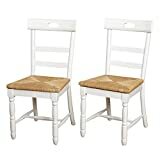 Here I selected my breakfast table white chairs. They no long carry these chairs but I found some adorable ones similar to mine. I thought the rush seats and white would compliment nicely. But you know another seating idea to add that would be fun especially if you have younger guest. Adding a hammock or hammock chair outside. They are so cozy and dreamy! Here are some that I thought would be perfect with this idea. For the centerpiece, I originally planned something a little more substantial, but when my sister and I put it in place, we realized it was way too much. So, my sister went back to the drawing board, or in this case the kitchen, and came out with this tropical flower and orange beauty. I have to say I loved it! 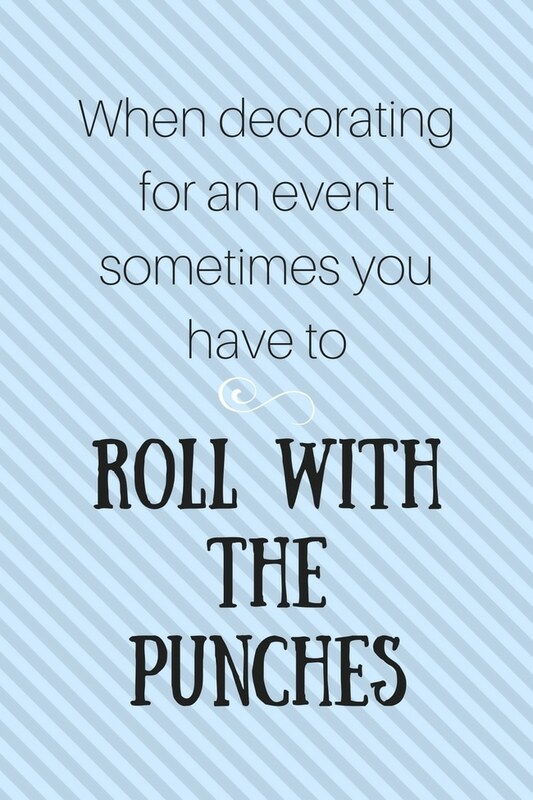 Whenever you’re planning an event, sometimes you have to roll with the punches, if you know what I mean. If something doesn’t work, don’t throw in the towel! Just keep trying! Some of my best creations have happened because my first ideas weren’t right. The one element I particularly like here is the small satsumas in the bottom of the clear round vase. For the flowers, I tried to go with a tropical look. These flowers were the closest I could find after looking at several grocery stores. I also added some palm fronds in there to add to the native design. Here’s an old trick, and one that is so easy! 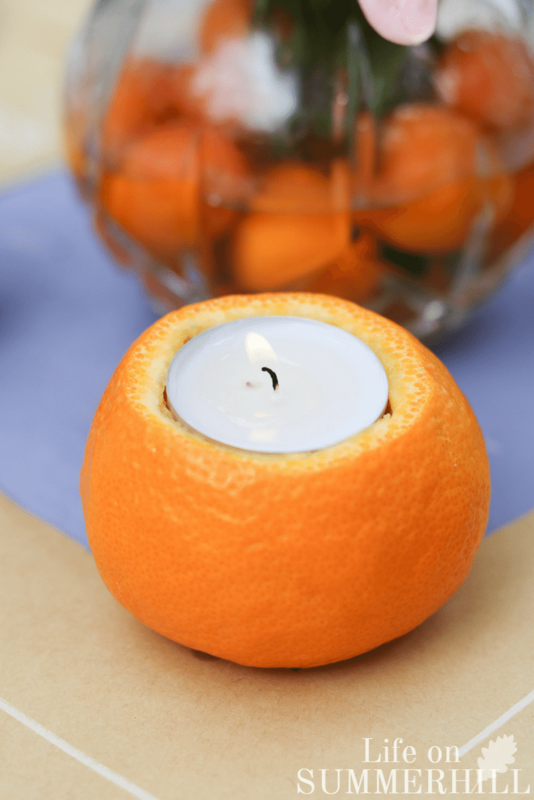 Purchase some oranges that are kind of flat on the bottom, then cut the top off enough for the width of a Tealight. and cut straight down and around inside. Then scoop out the pulp and set your light inside. Sometimes I have to scoop a little here and there until it fits down inside just the way I like it. 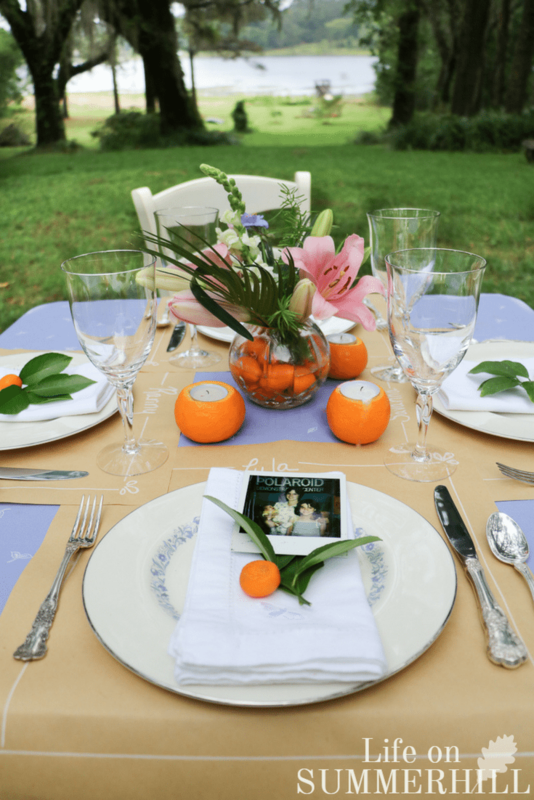 There is so much to share about these place settings! So, let’s start from the bottom up and give credit where credit is due. 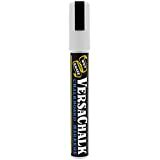 to draw the lines, write the name, and cut little designs in the corners. I also decided to let the paper mat fall down the side of the table a little just to add another creative feature. Next, I decided to use my sister’s china. The blue complimented the vibrant orange color of my inspiration. But do not feel you have to use china; any dinnerware will work like these plates I found that look similar. 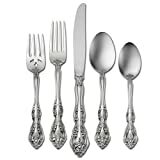 Now if you love this silverware it is called Pickard Festival but if that is a little out of your budget then try these similar ones by Oneida. 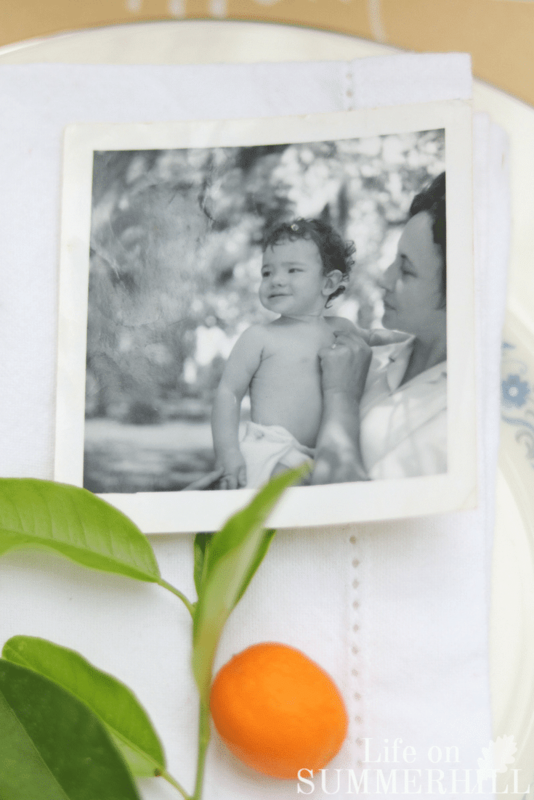 rests on the plate with an orange leaf, a satsuma, and a fond memory of your Mom on top in the form of an old photo. I love old photos and this one warms my heart! 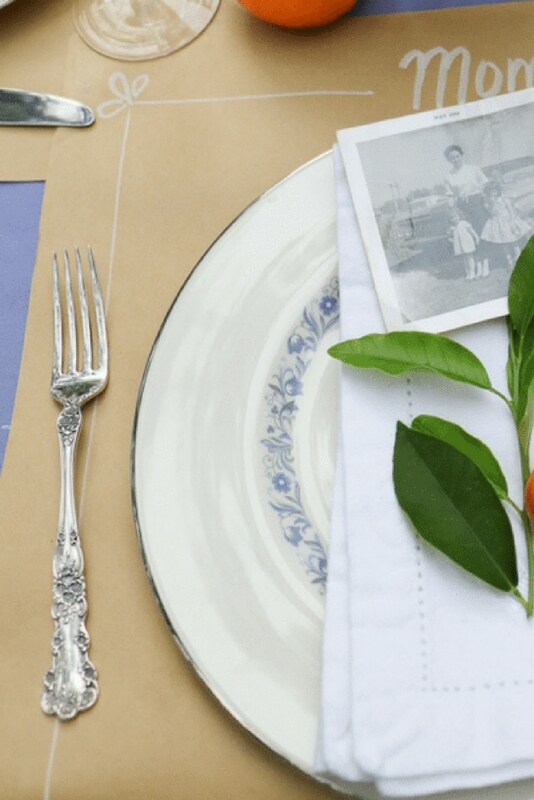 Adding old photos to each place setting made it special. The picture above is my mom and me, and the one below is my sister holding her baby and me. What fun memories are sitting on this table! 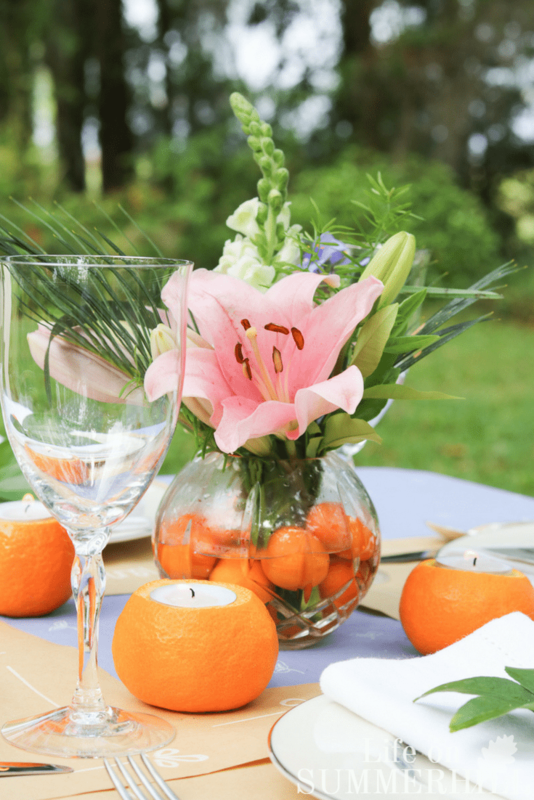 Now that you have the perfect plan for the Mother’s day tablescape idea, it’s time to come up with a menu. Since I usually don’t write about food, I went to some pretty great cooks for some suggestions. I have to say that reading their recipes made me hungry. They look so beautiful and appetizing! 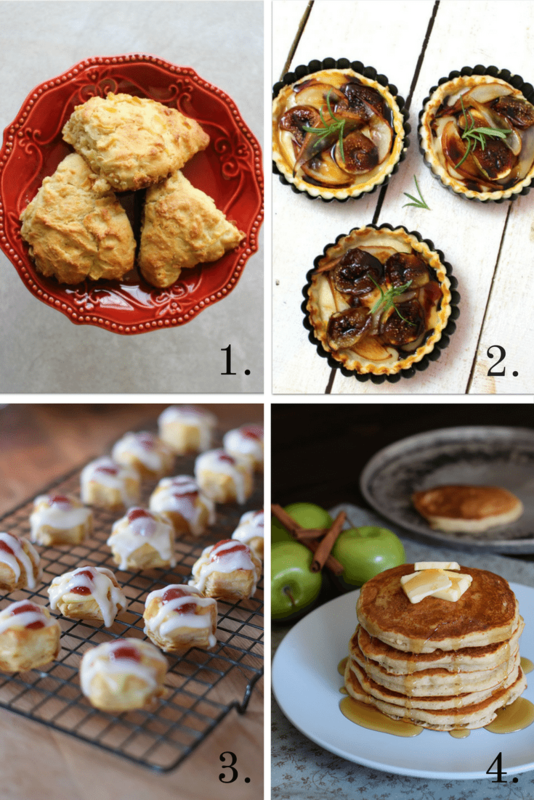 I think these recipes are perfect for your Mother’s day brunch. Now that you have a plan for the perfect Mother’s day brunch, how about sending them an invitation or letter. I have some creative and beautiful ideas in my post called “A Letter for Mom” post. Mother’s day is your day to show off how much you appreciate what all those Mother figures have done for you. Now that there is only one left in my life, I can think of many others that I think are pretty special moms today. So pull out your best, or borrow from family and friends, and tell those moms how much you appreciate them and how great a Mom they are. Being a Mother is a true sacrifice and worth every minute of it. If you enjoyed these ideas, please sign up for emails, so you don’t miss out on more fun decorating tips and ideas HERE. It was my Ranny, my Grandmother Roe. She was a sweet old soul, but could be firm, too, when she had to be. She helped raise me, because she lived next door. 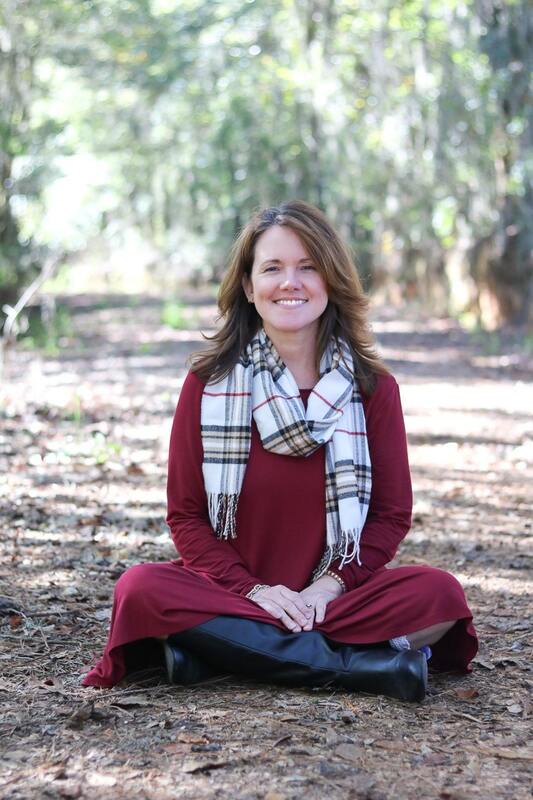 Out of the three adults in my life, she was home the most because the other two had to work to support us. She died thirty years ago this year, but I stole her name. I’m Ranny to my grandchildren, and someday they’ll ask me about the name and I’ll tell them all about my Ranny. She was a sweet old soul! Miss her much! Love this table! Thank you for the inspiration! Excited to start receiving your blog in my mailbox! Fun! This table is so beautiful! You have an eye for picking beautiful things that look so wonderful together! Greetings from Farmers’ Almanac in Maine! 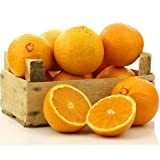 We would love to use this idea in our Mother’s Day newsletter and we were wondering if we could use the orange tea light image (we’d give you full credit, of course with a link back to your site). Let us know!